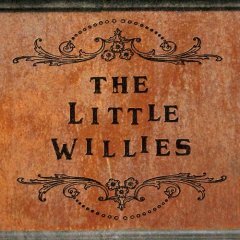 The Little Willies is the self-titled debut album from Rock music and Country singers The Little Willies. The album was released after band member Norah Jones had achieved international stardom as a solo artist. Their album features covers of tracks by Hank Williams (Iâ€™ll Never Get Out), Willie Nelson (Gotta Get Drunk and Nightlife), Fred Rose (Roly Poly), Townes Van Zandt (No Place to Fall) and Kris Kristofferson (Best of All Possible Worlds). Fusing cover material with a few of their own original compositions, the band delivers what a review by John Metzger describes as "an affable set that occasionally strikes pure gold."